Fast boat to Gili Trawangan is one of the sada that could be an option. How not to, by using a fleet of the best this one. The beauty of Gili Trawangan island may no longer be in doubt. An island that is also part of Lombok Island – NTB, always can attract the lovers traveling to visit her. 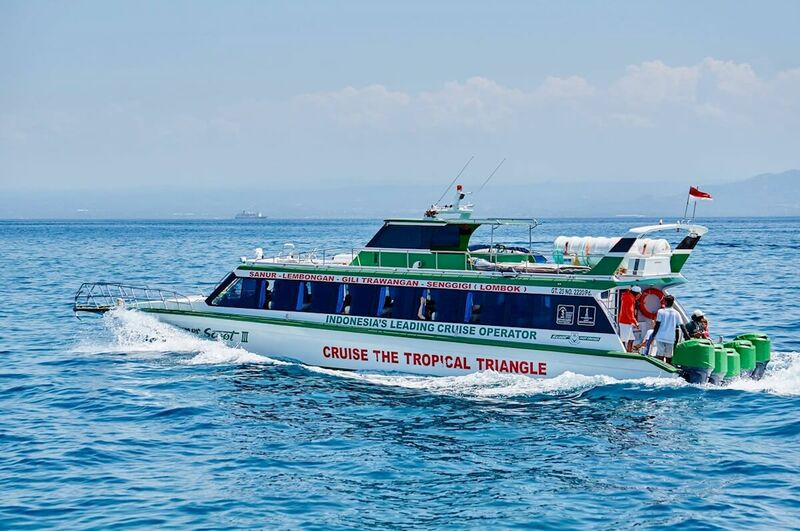 No wonder, a fleet of Fast Ferry from Bali to Gili Trawangan was a lot of operate and offer a competitive price but coupled with a satisfactory quality of service. To be able to Gili Trawangan by Fast Ferry only takes 1.5 hours to arrive. In general, the capacity of each fleet Fast Ferry available that is able to accommodate passengers of around 60 – 100 to 150 passengers. Most of the fleet Fast boat to Gili Trawangan and also Lombok, depart from the pier Sanur. However, because the distance is far enough to cause the cost is also more expensive if compared with departure from Padang Bai. Located at the Eastern end of the island of bali, with a travel time of 3 hours drive from the airport, pier Amed is also commonly. U sed for departure of the Fast Ferry is to be the docks that crowded visitors who want to travel to Gili Trawangan. In addition to the pier, Amed and Padang Bai Pier, Fast Ferry in sanur is also quite a lot of interest. The first pier to Gili Trawangan by Fast Ferry is the closest location to the Airport, Nusa Dua, kuta and other areas in Badung South. But travel time is certainly longer adrift 2.00 – 2.15 hours. Some providers Fast Ferry also transit in Nusa Lembongan for raising or lowering passengers, with the price offered was more expensive. However, the departure of the Fast Ferry from Sanur can be more afternoon. Based on this, through this article we will provide recommendations to you who want to go to Gili Trawangan by Fast Ferry to depart from the pier of Padang Bai. For those of You who want to go to Gili Trawangan with the departure from the pier of Padang Bai this need to prepare and depart from the hotel 2 hours before the scheduled departure of the Fast Ferry. Likewise, if You are going to go to Gili Trawangan by Fast Ferry through the port of Sanur. However, if You stay in the heart of Kubu, Tulamben and palace of Tirtagangga and willing to go to Gili Trawangan, we highly recommend You to use the Fast Ferry crossing via the dock Amed. Thus some of the recommendations and our advice to You who want to go to Fast boat to Gili Trawangan. May be useful for planning Your holiday yes!